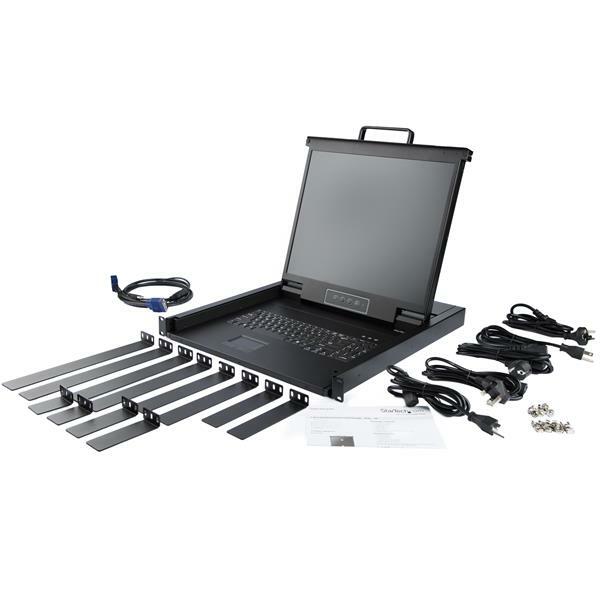 This rack-mount KVM console provides complete keyboard, monitor and mouse control for a single server or multiple servers, connected through a separate KVM switch (sold separately). The 19 in. console installs into 1U of rack space, offering a space-efficient solution for complete console control. 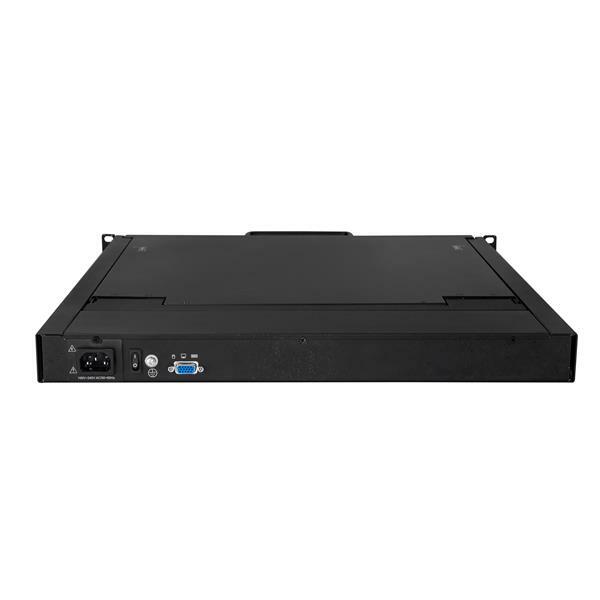 This KVM console provides all the essential controls you’ll need to manage your server room at a low cost. 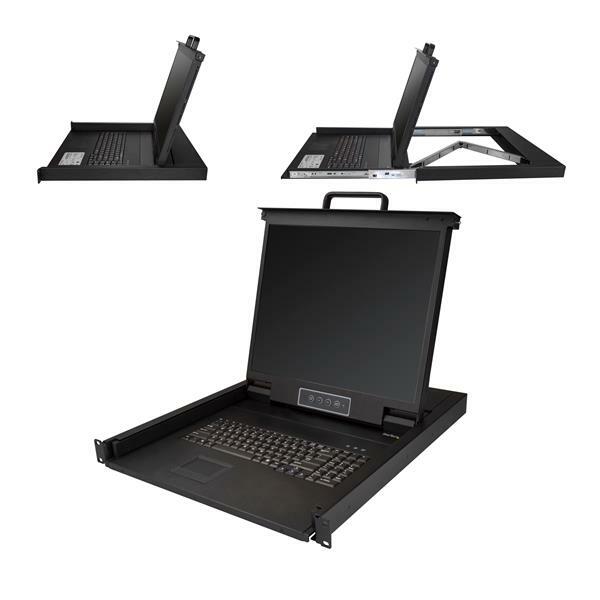 The console features a built-in keyboard and a touchpad for intuitive control, as well as an LCD display that supports resolutions up to 1280x1024. This versatile LCD console has a 19 in. screen. The increased screen space allows you to run multiple applications on the same screen, increasing your productivity. 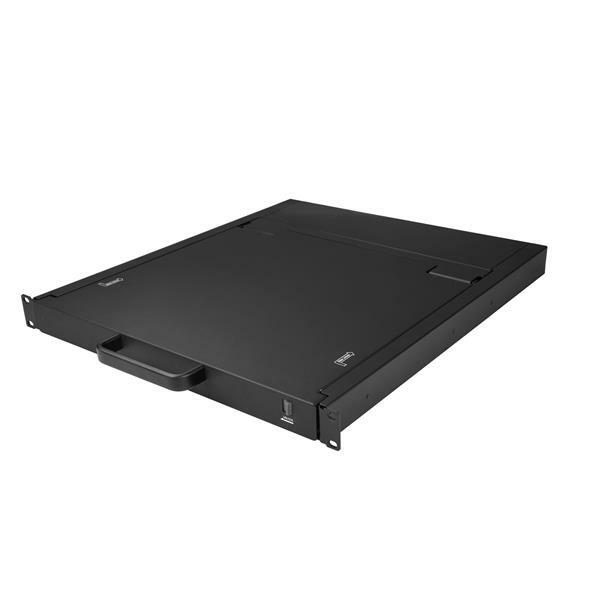 The rack-mount LCD console slides out from 1U of rack space, enabling you to easily monitor and control a single server or multiple servers when connected through a KVM switch. 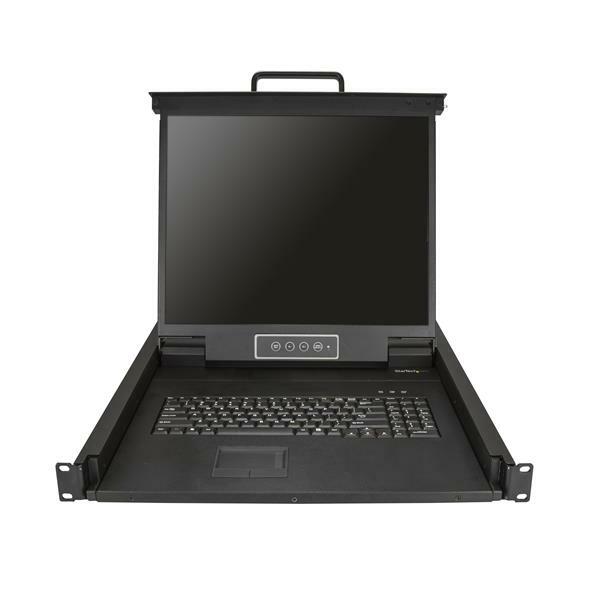 The rack-mount VGA console features a handle that makes it easy to slide the console in and out of the server rack, keeping your area organized and clutter-free. 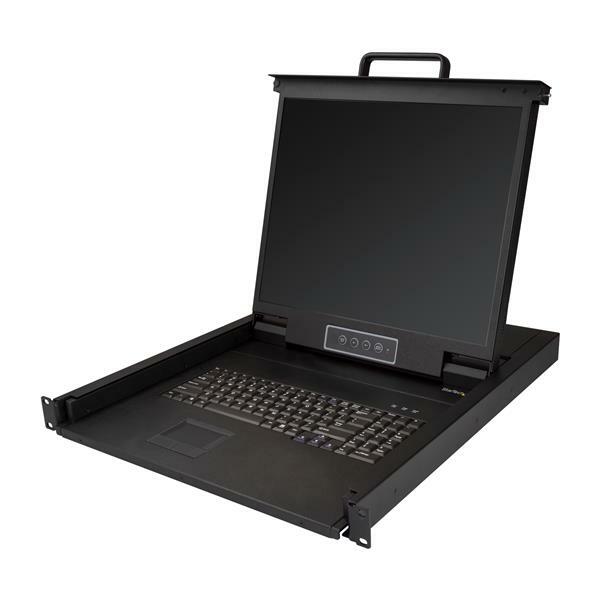 The rack console features a single-port KVM module, which enables you to connect it directly to a server. The module offers the flexibility you need to easily integrate it into your existing server infrastructure. The RKCONS1901 is backed by a StarTech.com 2-year warranty and free lifetime technical support.